Strong Christian family is at the center of everything we do. We foster Christian values in our students, raising them up to become people of integrity. Being a family means coming together and rising to the occasion — and the Maranatha family recently did just that in acquiring our new strength and conditioning equipment. It all started with just one parent noticing a need and stepping forward to make it happen. As a longtime volunteer and coach, this parent knew of MCA’s need for new weight room equipment. Over the years, he had been able to witness the strong impact of Maranatha coaches and the drive of MCA students in their athletics. But he soon saw the limitations on PE teachers, coaches and students because of the lack of space, quality and quantity of strength and conditioning equipment. Having prayed about the strength and conditioning equipment, this parent dove in when he became aware of an opportunity. As Immaculata High School in Leavenworth was closing its doors, the school offered Maranatha the chance to purchase its nearly-new weight equipment at a great discount. Much of the equipment was only a few years old and in great condition. As soon as he heard about the available equipment, the parent got to work. 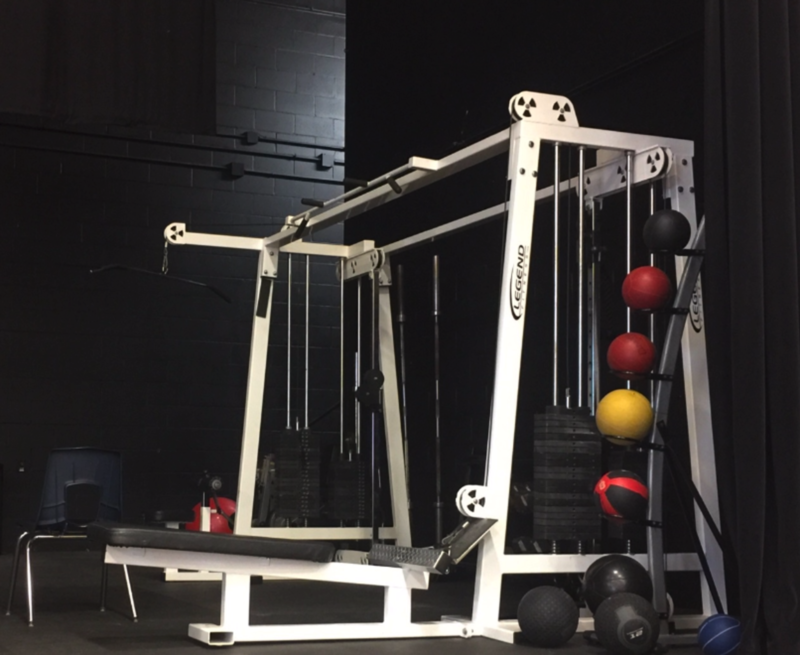 “When he became aware of the phenomenal opportunity to update our weight room, this parent saw the need, stepped forward to communicate it to the parents and rallied the troops,” says Kelly Wilde, MCA Community Relations Coordinator. “It’s an incredible blessing to have parents who are willing to step forward and take on that volunteer leadership in different areas.” The parent sent emails, made personal asks and, ultimately, encouraged everyone to pray for this opportunity. What happened next was a testament to the dedication of Maranatha parents. In just three weeks, parents came together and donated several thousand dollars above and beyond the price of the weight equipment! “This allows us not only to cover the purchase of the equipment, but to cover upkeep and maintenance and be good stewards of this investment,” Mrs. Wilde says. The new equipment includes multi-station universal machines, squat racks, free weights, a leg press sled, storage racks for the weights and new industrial-strength floor mats. Students in Maranatha summer sports camps are already putting the new investment to good use, just weeks after the purchase. 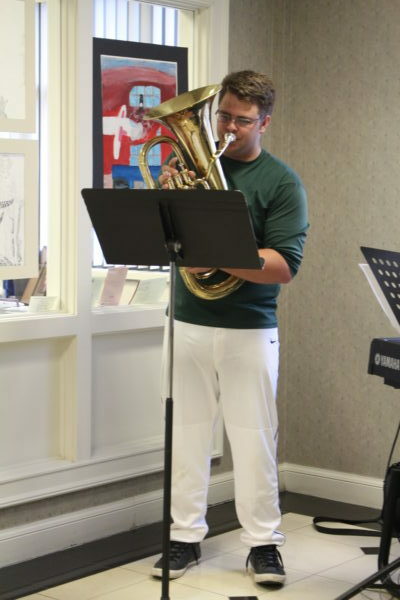 In its debut year, the Symphony of Sound allowed students across the Music Department to showcase their musical abilities and talents. All ensembles who were preparing for upcoming music contests performed during the special showcase, including junior high soloists, the high school choir, junior high band, a high school jazz ensemble, a small boys’ barbershop ensemble and an a capella vocal ensemble. In January, junior high students competed at the Prairie View Festival. 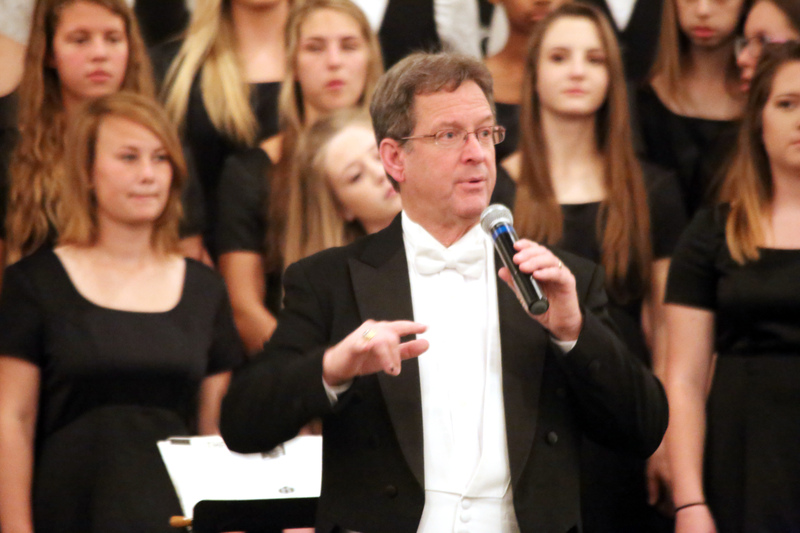 “Our choir and ensembles all received superior ratings,” says Mr. Gordon. Eight soloists, as well as the junior high choir and band, participated. Senior high students competed in contests at the end of March and in April. At the Solo and Ensemble Content in Atchison, nine of 17 performances received the highest marks possible, with other performances earning high scores as well. Twenty Maranatha students competed in the State Contests in April, receiving near-perfect ratings. 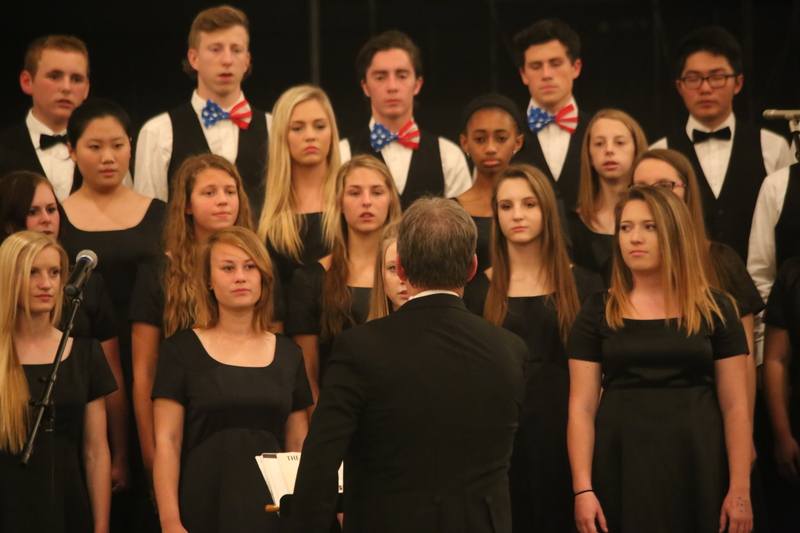 Seven soloists and two vocal ensembles participated, both singers and instrumentalists. Eight of the nine events earned the highest marks possible, and the remaining event was just one point shy of a top score. In addition to small ensembles, students from the Music Department traveled to the Large Ensemble contest in April. The full concert band and full concert choir participated in this significant event, with both groups receiving superior ratings as well. Furthermore, the Junior and Senior High bands prepared this spring for their outstanding performances for the MCA community. They each held concert and award evenings in May, and their music created a festive environment during the May 20 Graduation. These recent accomplishments simply add to the legacy of excellence within the Maranatha Music Department. 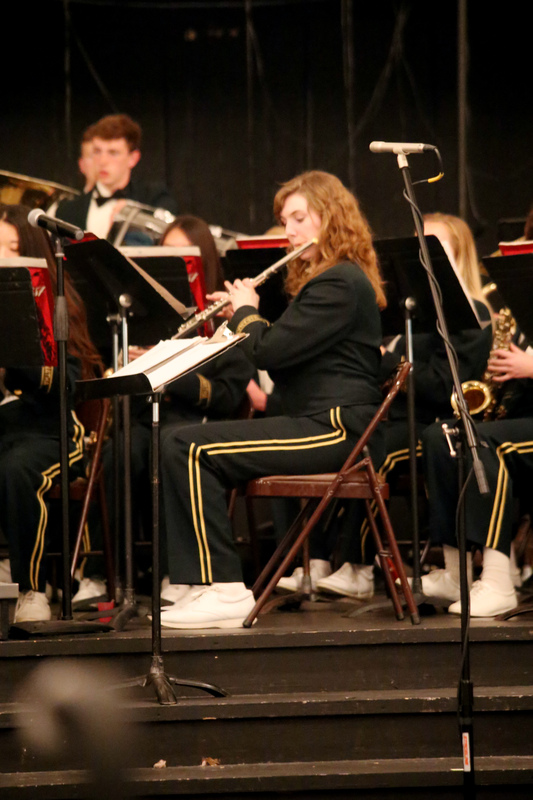 Twice in the past six years, the band has been selected to play for the prestigious Music Educators Association Convention in the state of Kansas. Just three bands are selected each year. In 2018, the choir will travel to New York City for its third performance at world-renowned Carnegie Hall. The students will perform the Easter portions of Handel’s Messiah on Easter Sunday. The band also travels every four years to Washington, DC, to perform. The year was 1986 when Galen Wagner began his Maranatha career. Since then, more than 900 students have passed through the doors of his classroom, all of them impacted by his passion for the Gospel. As Mr. Wagner completes his final year at MCA and prepares to retire, we celebrate his commitment to our community and dedication to our students. “I love teaching,” Mr. Wagner says. “In the 31 years I’ve spent here at Maranatha, I’ve never had a bad day.” Mr. Wagner is chairman of the Bible Department, and has taught in the Bible Department for 20 years after teaching fifth and sixth grades for his first decade at Maranatha. 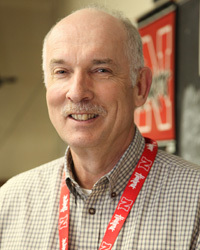 Mr. Wagner has taught more than 31,000 hours of classes taught at MCA, reports Mark Schultze, Maranatha Superintendent. “He has certainly modeled for our students a life of dedication and service to Jesus,” he says. Mr. Schultze points to Mr. Wagner’s nearly 20 mission trips to Russia and Italy to train pastors, as well as his faithful continuation of teaching as a cancer survivor. In 2012, Mr. Wagner was awarded the MCA Apple Award for Teacher Excellence, and this year, he received the Career Service and Achievement Award from ACSI (the Association of Christian Schools International). But the defining moments of his career have always been moments when he is mentoring students, Mr. Wagner says. “I’ve enjoyed the personal relationships I’ve gotten to build with students over the years, and I’ve been blessed in that respect,” Mr. Wagner says. “One particular year, there was a group of eight young men, and we met once a week after school to pray and share a relationship. Those young men have really stepped up and grown in their faith.” The group graduated nearly 10 years ago, but Mr. Wagner still stays in touch as their mentor. “They are all doing great, and it’s just been a joy to have been part of their lives.” Mr. Wagner has many similar stories, and he reflects with much gratitude on all the students he’s gotten to teach. Mr. Wagner may be departing the classroom, but he plans to remain as engaged as ever in learning. “I’m going to retire to a life of learning,” he shares. Mr. Wagner plans to continue working on writing his own translation of the New Testament, from Greek to English. He looks forward to reading and playing music as well. Teaching runs in the Wagner family: Mr. Wagner’s wife is also in education, and she will retire this spring too. Together, Mr. and Mrs. Wagner look forward to spending time together, as well as with their grandchildren. “It has been a blessing to do what I love to do: to teach the Scriptures to students who love the Lord, alongside teachers who are also called to this mission, and with all of the parents headed in the same direction,” he smiles. 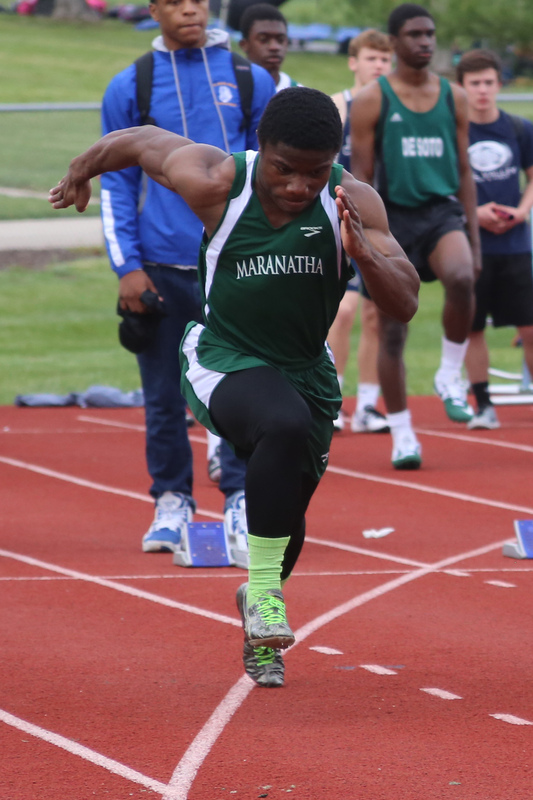 Maranatha’s Athletic Department offers the most athletic options of any school in its class (2A) in the state of Kansas, Mr. Keener says. “This allows more chances for student participation in athletics, and opportunities for students to practice their sportsmanship,” he says. Girls Soccer Team Highlights: The Junior High girls celebrated a big win at home on April 18 against rival Summit Christian Academy. “They’ve really worked hard and improved over the course of the season,” Mr. Keener says. The High School team is enjoying a strong season as well, with a key win against Van Horn, 4-1. One Senior student is celebrating 73 goals scored, setting an MCA record for goals in a career. The girls are playing in the regional championship game as well. Boys Baseball Highlights: The young team, led by mostly freshmen and sophomore students, celebrated three shutouts this year. “The pitching in particular has been really outstanding,” Mr. Keener shares. “It’s been great to watch these guys, as young as they are, competing and playing really well.” A big win this season was a 10-0 defeat over Barstow. 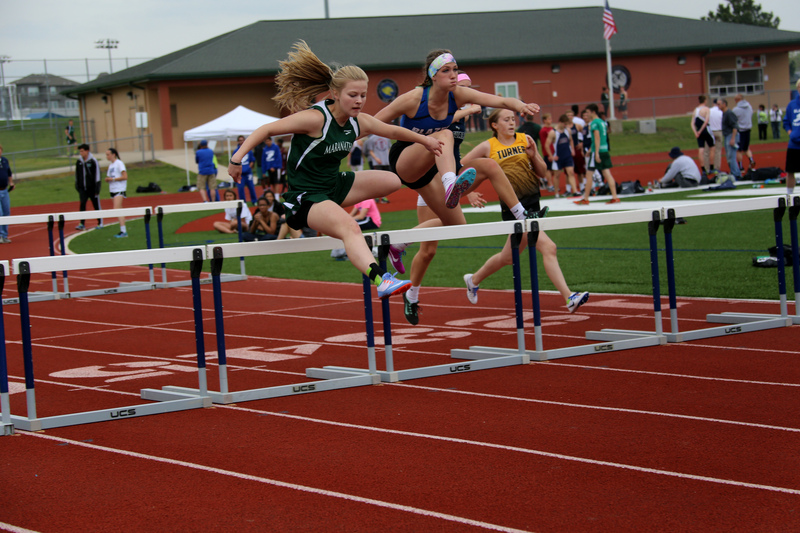 The team advanced to the regional championship falling to a very experienced Troy team. Boys Tennis Highlights: The 2017 season is the team’s best in 10 years, Mr. Keener shares. “They’ve been playing against some tough competition and showcased some great individual efforts,” he says. A key victory this year was an early-season win against Kansas City Christian. ‘We’re very excited about the tennis post-season,” Mr. Keener says. The team finished third in state this year. 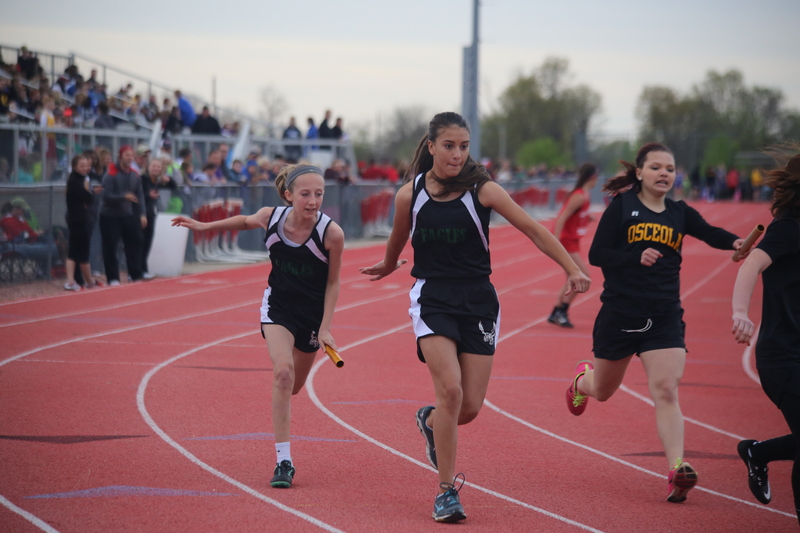 Girls Track Highlights: The Girls Track team is also celebrating a senior sprinter’s accomplishments, having won every meet. While the team is typically led by distance runners, sprinters have led the 2017 team. The team is doing well, and preparing for Regionals. 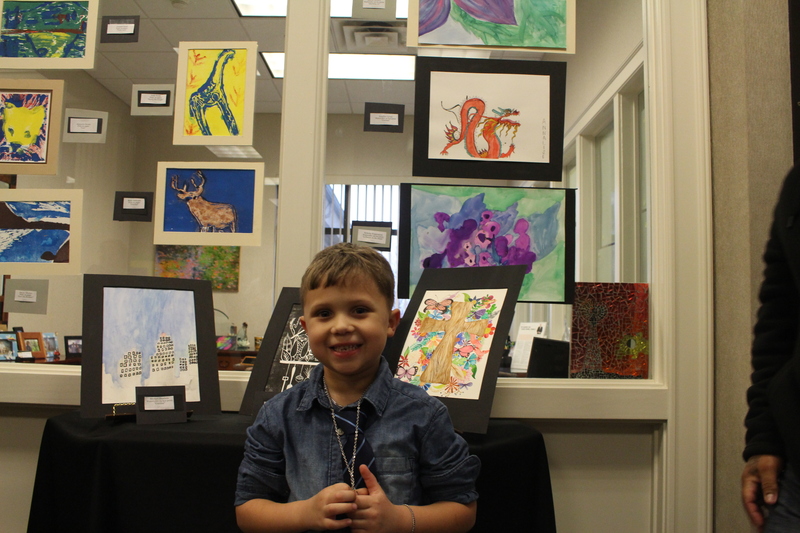 Now in its eighth year, the annual Maranatha Spring Art Show highlights and celebrates our students’ hard work. Faith is woven throughout every aspect of Maranatha, and the art program is no exception. “My favorite part of my job is seeing students grow artistically,” says Danielle Williams, Maranatha art teacher. She began her career teaching students animation and animation software programming on the East Coast. Mrs. Williams has also taught at the Kansas City Art Institute, instructing students in drawing, painting, graphics, sculpture and more. The Maranatha art curriculum complements much of what students learn in their other courses, even History and Math. “Art supplements what they’re learning in their core classes. I teach students that art is involved in everything. They may be studying anatomy in Science, for example. Through figurative drawing in art, they’re also learning about the human body, about proportions and limbs. 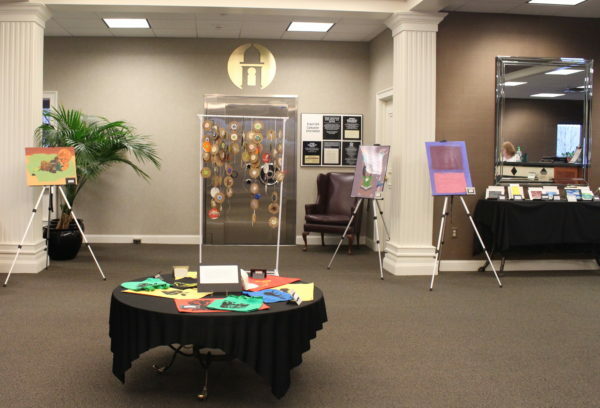 This theme extends to the annual Art Show, held this spring at Country Club Bank’s Shawnee branch. “The bank is generous to let us install student art all over the bank,” Mrs. Williams explains. “Because the art is up for a whole week, customers can see and enjoy it. It’s a great way for the community to see what we’re doing in the visual arts department at Maranatha.” During a past art show, the bank president even purchased a student’s watercolor as a gift for his daughter. Mr. Thompson grew up in Texas, and utilized his background to develop the robust mission trip itinerary. The students ate meals and stayed overnight at Sky Ranch, a Christian summer camp in Van, Texas. 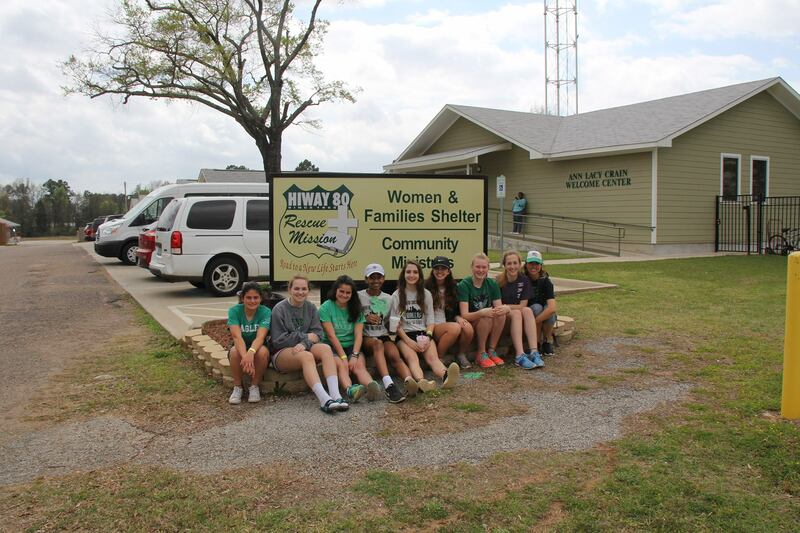 They spent their days serving in the cities of Longview and Tyler, primarily in partnership with homeless ministries. The entire trip was active service, Mr. Thompson explains. “We were up early and stayed up late serving,” he says. “To me, it was an eye-opening experience for our students. 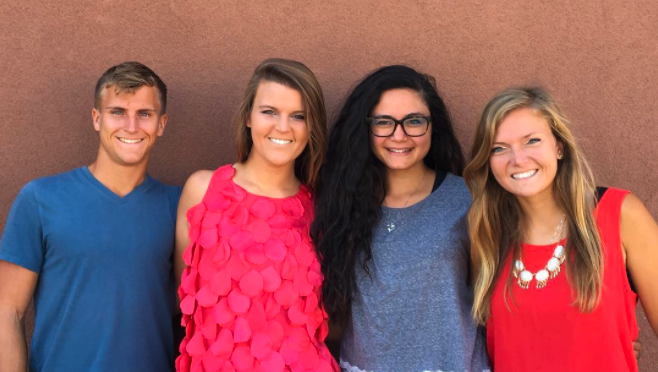 We were constantly depending on God’s grace to serve well.” The students even broke a record for their service. 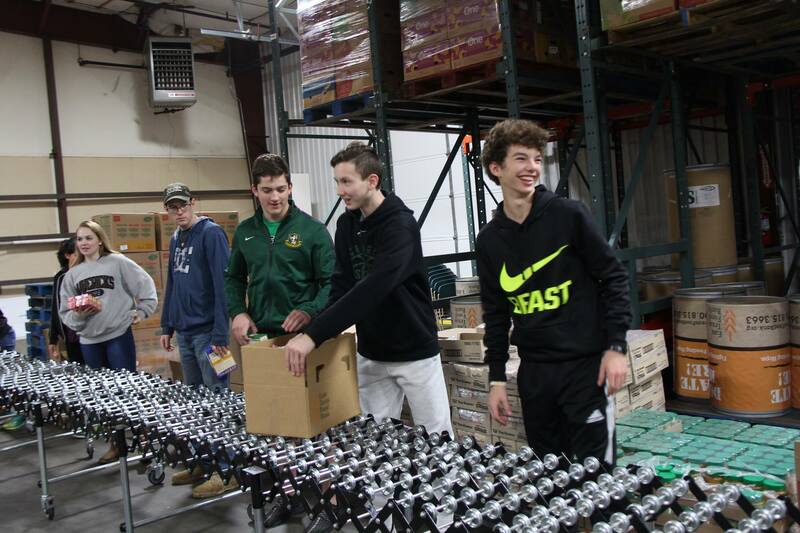 While they served at a food bank, they broke the record for how quickly they assembled box lunches. The students participated in a number of activities outside of service too, including visits to the JFK Museum and Holocaust Museum in Dallas. The week wrapped up with an evening campfire, where students shared reflections on their service time. Maranatha Christian Academy graduate Anna Hoduski first discovered her pro-life passion as an MCA fifth grader. Today, she’s racing across America to spread awareness and combat abortion. Meet Anna Hoduski. How she connected with the pro-life movement: Anna’s dedication the pro-life movement was first sparked as a fifth grade student in Mrs. Steinbrink’s class. “Mrs. Seinbrink had such a heart for life and such a love for the unborn,” Anna recalls. “We did so many arts and crafts about being pro-life and all the scripture we memorized was based on pro-life. She was a wonderful influence on me and changed my life that year.” Ever since, Anna has been hungry to contribute to the movement herself. From passion to project: “My passion to combat abortion continued all the way into college, but I didn’t know how to make my passion into an action,” Anna says — that is, until she started training for a half marathon. “The Lord laid it on my heart to run across America for the equality of the unborn. Anna’s organization, Project If Life, was born. The Project If Life team: Anna, as the runner and speaker, isn’t going it alone. The crew also includes writer and web content manager Sarah-Marie Hoduski, trainer Nicholas Hoduski and project manager Megan Maier. Sarah-Marie and Nicholas are Anna’s fellow MCA grads, while Megan is a college friend. “With this team, we have successfully completed running across Kansas, Colorado and more than half of Utah,” Anna reports. How her Maranatha experience cultivated her character: “Maranatha did not just teach their curriculum from a Christian worldview, but taught me the importance of possessing and developing a Christian worldview myself,” Anna says. After graduating, she worked with many non-Christians, and her faith was put to the test. “But so many of the lessons that I learned from my Christian teachers and my Christian friends helped me to stay true to the Lord. Even today I see how much I have been blessed because of my Christian education and my Christian background. I am so thankful for the friends I was surrounded with and for the godly atmosphere I was so privileged to grow up in,” Anna says. The Maranatha legacy: “I can hardly count the blessings that I have encountered from having been raised by so many Christian people and brought up with so many Christian friends,” Anna says. “I love that I still hang out with my friends that I’ve had since kindergarten or first grade. We still build each other up in the Lord and are still growing together into who our Savior wants us to be.” And prospective Maranatha parents, Anna wants you to listen up — as an alumni, Anna cannot recommend Maranatha highly enough. “If anyone is considering whether or not to send their child to Maranatha, know the answer is that they should,” she shares. Eagle Hoops In The News! I had the privilege to be at the Shawnee City Council meeting on Monday the 14th and hear Debra Zuniga, 11th grade , daughter of Mike and Carrie Zuniga, read her award winning essay for the VFW’s Voice of Democracy contest. The theme of the contest this year is “My Responsibility to America.” The national winner will receive a $30,000 scholarship and a trip to Washington, D.C. and there are other prize amounts along the way. Debra’s essay won the local VFW’s competition and now she will be entered for the regional competition. The mayor of Shawnee heard Debra’s speech at the VFW and was so inspired by it, she asked Debra to come to the City Council meeting to read it again. Debra was able to share her distinctly Christian and very patriotic essay with a jam packed room of Shawnee citizens. What a great testimony of God’s work in Debra’s life! God’s family, the Zuniga family and the MCA family were all wonderfully represented that night. Thought I would share with you a note I received from the owner of the restaurant where the Cross Country team stopped to eat on their way to the Regional Cross Country meet. I had the privilege of meeting the cross country coach/kids/bus driver that stayed over in Seneca Kansas on their way to Washington for regionals. I want to commend your coach (amy) and the rest of that group. They were very polite, respectful and just overall a wonderful group to wait on.